The psychedelic synth duo have finally found their stride again with their most bizarre yet wonderful album to date. Little Dark Age is a real curiosity of an album. From the neo-gothic, sci-fi-yet-not-sci-fi, synthesized extravaganza of the title track, to the disturbingly optimistic mind-bender that is ‘When You Die’, and on to the pure electronic audio experience oozed by the quite frankly bizarre ‘Days that Got Away’, it simply refuses to sit still and agree on what it wants to be. In the process, MGMT’s fourth studio album ends up being a little bit of everything – if that everything was put through a blender with a healthy dose of synthesizer, strong chemical paint, and a weekend-long trip-out. I know that sounds crazy, and it is, but the result is that Little Dark Age is without a doubt the Conneticut duo’s most engaging and entertaining project since their terrific debut Oracular Spectacular back in 2007. So let’s just get the opening out the way. ‘She Works Out Too Much’ was not quite what I was expecting coming into Little Dark Age having only heard the title track prior to giving the whole album a listen. You soon realise that, throughout this album, Andrew VanWyngarden and Ben Goldwasser love pointing you in one direction at the end of a song, only to pull a complete 180 and throw you something completely unexpected. So when the album opens with some kind of softcore ’80s fitness instructional video soundtrack (were it recorded on an iMac rather than an AMS RMX16), you may be forgiven for expecting more upbeat, poppy sounds in the style of previous MGMT hits ‘Kids’ or ‘Time To Pretend’ to follow. Of course, this is Little Dark Age, and this is a more modern MGMT who don’t care about your expectations. What follows instead is the deeply seductive title track. I am in love with ‘Little Dark Age’, and yet I am wholly unnerved by it. It’s five minutes of delicious, synthy delerium that engulfs you within its macabre shadow, while an oft-repeated chorus alludes to something all the more disturbing than the instrumentation would have you believe. It’s sheer perfection for the Halloween playlists, but its space-age crescendo in the final minute provides excellent festival fodder as well. It may not be quite as summertime friendly as ‘Electric Feel’ or ‘Kids’, but it certainly does enough to stand out from anything else MGMT have produced. Of course, the rest of the album is its own kind of delight as well. ‘When You Die’ is a complete oxymoron of a track, framing the darkest subject matter explored on the album against its most upbeat instrumentation, having us cheering for all the wrong reasons. Things take a more contemporary and cautionary turn on ‘TSLAMP’, which again contrasts foreboding imagery (“I’m wondering where the hours went / As I’m losing consciousness / My sullen face is all aglow”) with the kind of upbeat synth and percussion that wouldn’t feel out of place on an Empire Of The Sun or Tame Impala album. ‘Me and Michael’ takes us back to the ’80s again with nostalgic synthesizer melodies and dreamy vocals, leaving us pumped-up for a song that deliberately has no real meaning. Meanwhile, ‘Days that Got Away’ is a sort of strange, electronic lovechild of Ben Goldwasser’s that doesn’t really make much sense but leaves you feeling satisfied at the end all the same. There’s something I can’t really put my finger on when it comes to Little Dark Age, and I think that’s the point. The title track alludes to some dark secret – some “little dark age” – being kept hidden by the mercurial minds of VanWyngarden and Goldwasser. Look deeply enough into each track within this album, and you’ll find each one has its own little dark age. But dismiss all that, and you’re still left with some fantastically performed tracks to chew on: MGMT have been making music for 16 years now, and it tells. 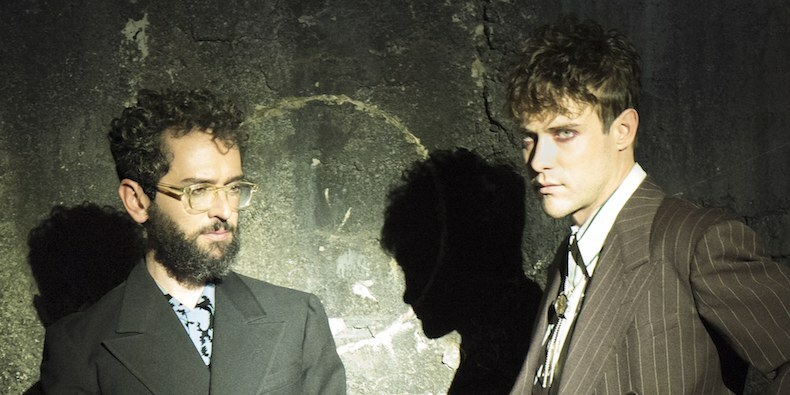 From ’80s synth ballads, to gothic sci-fi treats, to chilled psychedelic fadeouts, there’s a little bit of everything that makes MGMT so special. It’s not the most poppy or radio-friendly album they’ve produced: there is a sense of paranoia, dread, and delirium throughout. Some will find that decidedly off-putting, and for that reason I can’t call Little Dark Age a masterpiece; the slump around ‘James’, ‘One Thing Left To Try’ and ‘When You’re Small’ doesn’t help either. But it is a hauntingly wonderful exploration of all of our own, personal, little dark ages, and for that deserves to return MGMT to the spotlight.